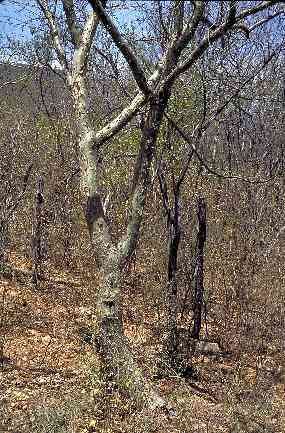 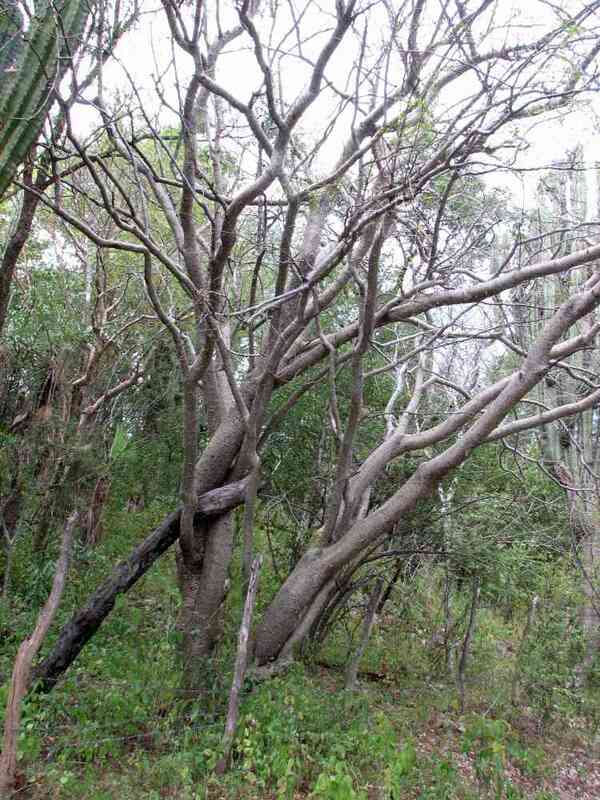 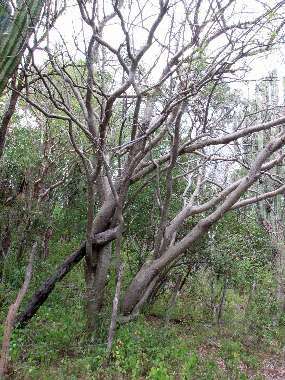 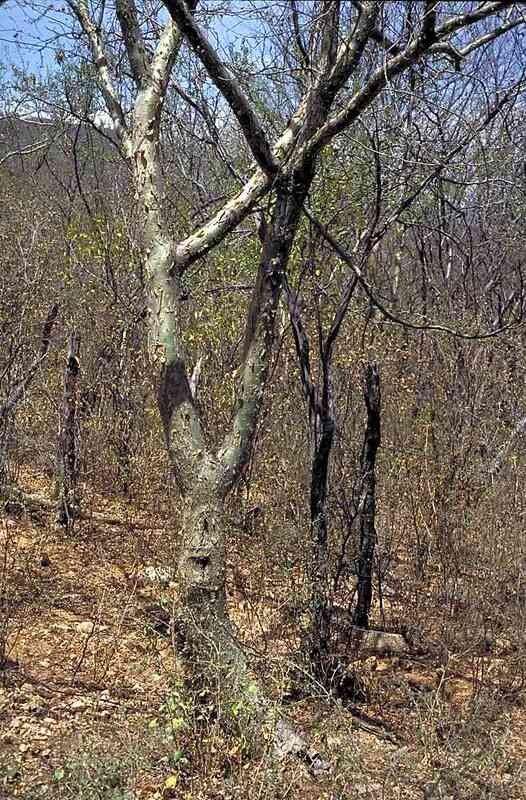 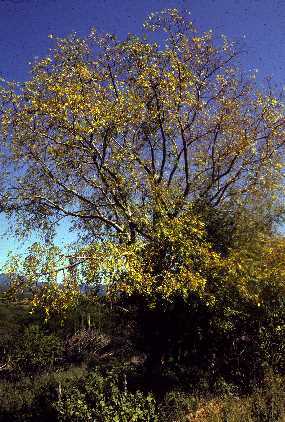 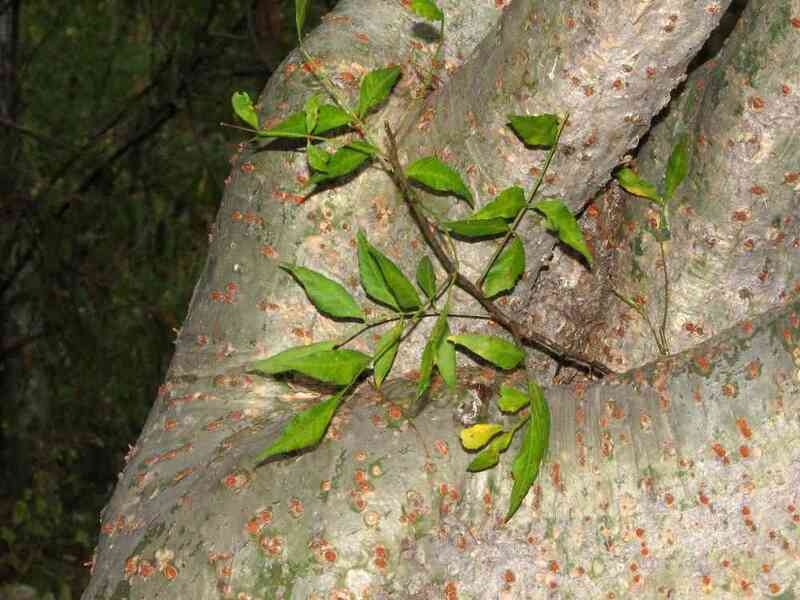 Torote papelío grows to 26 feet (8m) with a fairly full profile; it is deciduous during the dry season. 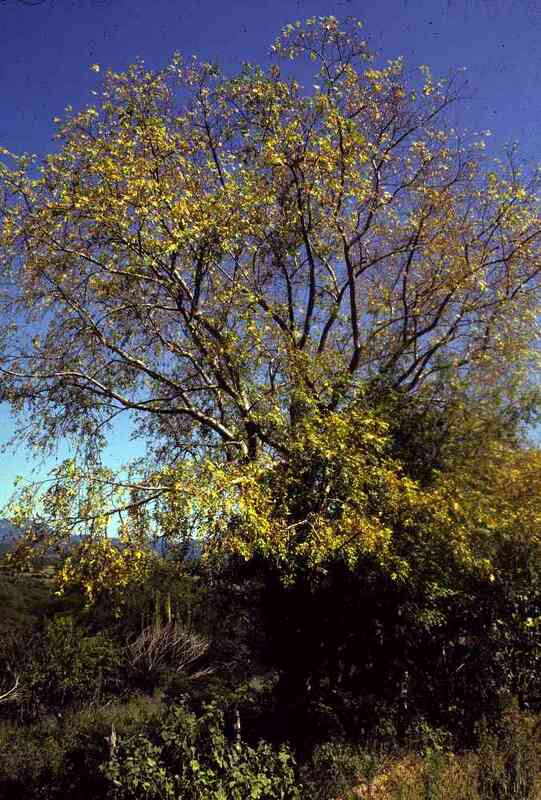 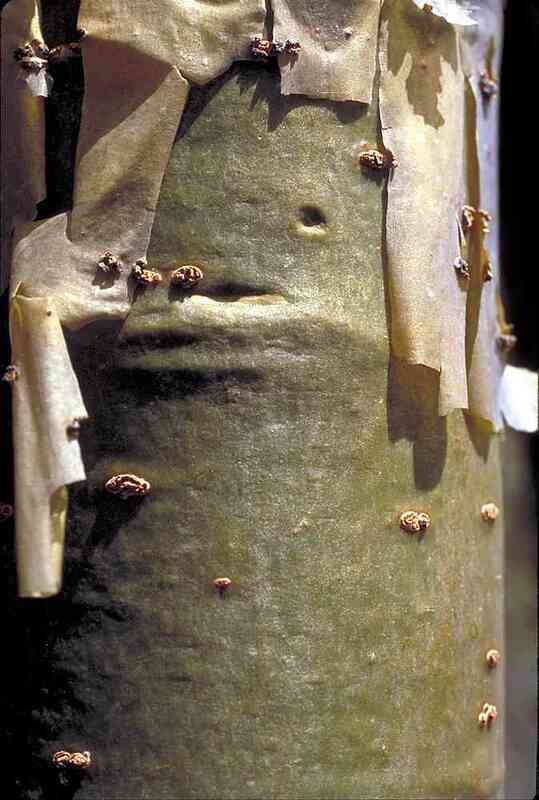 Its bark sheds regularly, producing pale yellowish-white, paper-thin draperies. Inconspicuous flowers produce a fruit that will dry and persist long after the branches turn bare. 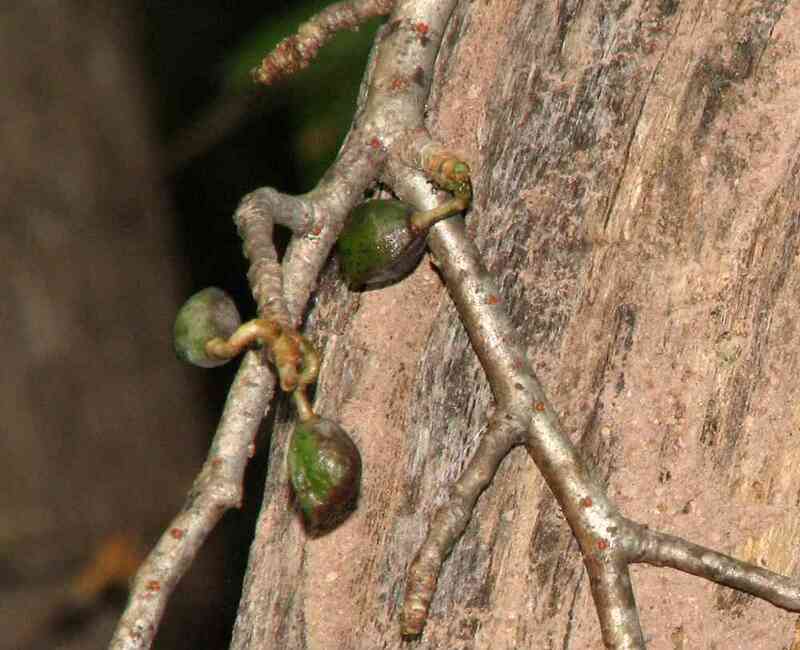 Birds feast on the dry fruit.